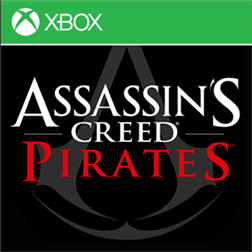 Now available for Windows Phone and Windows 8 is the highly anticipated Assassin’s Creed Pirates as an Xbox title full of achievements. Sadly the title is not a universal app as was last weeks Hungry Shark Evolution, but nonetheless the game is breathtaking! Discover Assassin’s Creeds real-time naval battles in this new title. Manage your crew, upgrade your ship and brave the Caribbean weather to become the most feared pirate of your time and claim La Buse’s legendary treasure! Check out the trailer below and head past the break to download! Become one of the most feared pirates of the Caribbean in this exclusive Assassin’s Creed adventure on smartphones and tablets!Play as Alonzo Batilla, a young and ambitious captain, a pirate eager to take on the fiercest of enemies…Break all the rules, challenge empires and make your own fortune!